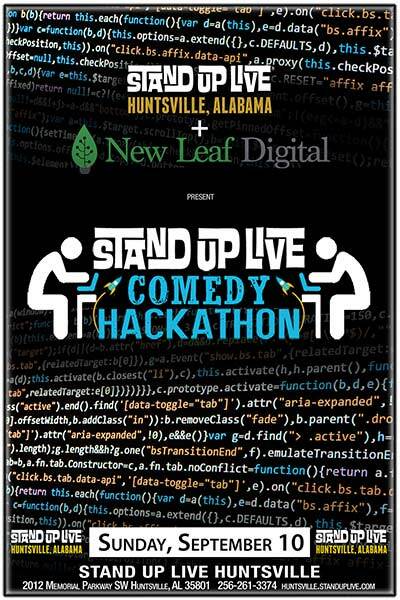 Stand Up Live is partnering with New Leaf Digital to present Huntsville's first Comedy Hackathon! The Comedy Hackathon is a live event that invites comedians, developers, and designers to come together and build hilarious tech. The creations are showcased before a panel of judges at a very unique live comedy show. One team wins, but nobody loses. If this sounds right up your source code, then email Jonathan@Standuplive.com to be part of the action.